Needless to say we were stoked when Christine and Tom agreed to travel up to breathtaking Yosemite National Park for their engagement session. Trust us when we say the photographs below do not do this park justice. It truly does take your breath away, there are simply no words to describe Yosemite's beauty (good thing pictures are worth a thousand words). We arrived around 4pm and did a little sight seeing while scouting the grounds then met up with Christine and Tom at 5:30 from the moment we saw them in their casual yet sophisticated out fit choice, we knew we were in for a treat. Christine's linen spring dress and ankle high boots matched with Tom's plaid and khakis was perfect. These two lovebirds jumped right in and started making magic right from the first photograph. 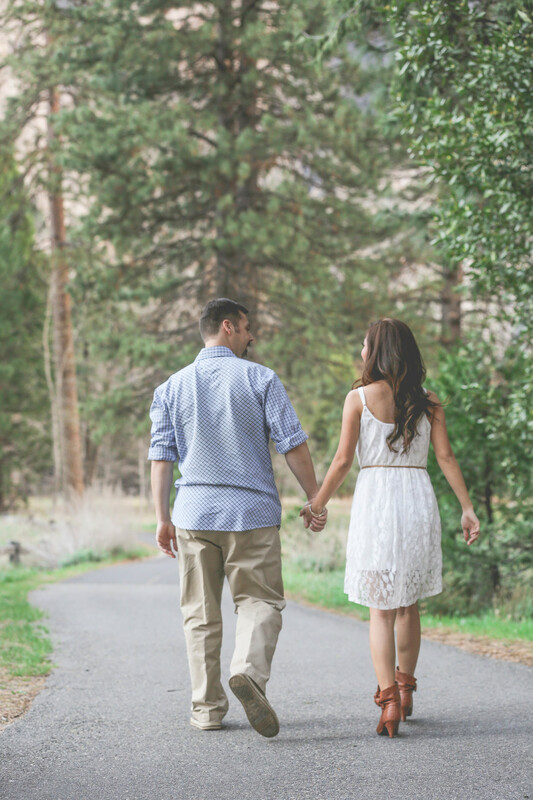 We had a blast with these two and can't wait to shoot their May 2nd wedding. Yes we know that's the date of the Floyd Mayweather Manny Pacquiao mega fight of the century. Yeah yeah ok calm down... the wedding was booked before the fight was announced. But if their wedding is anywhere as beautiful as their engagement we'd rather DVR the fight and capture the LOVE!